Earlier this month S. 1205 The National Nurse Act of 2015 took a huge step forward, gaining two co sponsors from the Senate Health, Education, Labor, and Pension (HELP) Committee. Thank you to Senators Michael Bennet (CO-D) and Mark Kirk (IL-R) for signing on to S. 1205. We are grateful to have the support from both these esteemed members of Congress. 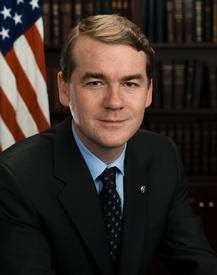 Senator Michael Bennet (CO-D) was elected United States Senator for Colorado in November 2010. Prior to his appointment to the Senate in 2009 and subsequent election to a full six year term in 2010, Senator Bennet served as Superintendent of Denver Public Schools where he led a bold and inclusive reform effort that improved student achievement, helped turn around failing schools, and brought a halt to a seemingly endless cycle of annual budget cuts. In his role on the Senate HELP Committee, Senator Bennet continues to take a leading role in working to improve our nation's health care system and making sure it works for Colorado families. As the junior senator of Illinois, Senator Mark Kirk (IL-R) represents half a million residents employed in the health care sector, 143 hospitals, 24,300 active patient-care physicians and 126,000 licensed registered nurses. 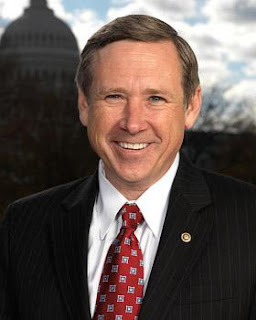 Senator Kirk’s mission has been to create a standard of care to optimize the entire rehabilitation system—by transforming the way researchers, doctors, therapists and hospitals care for patients with neurological disorders and injuries—to give others the opportunity to have the absolute best quality of care possible. Co-sponsors are key to moving a bill forward. When members sign on to legislation they are indicating not only do they agree with the legislation, they are committed to its passage. A strong list of co sponsors often are the determining factor deciding whether a bill gets a vote or a bill that dies in committee. The National Nursing Network Organization and others are working to assure that the National Nurse Act of 2015 (HR 379) receives a committee hearing before the end of the 114th Congress. 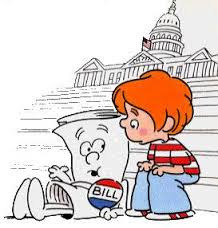 To date, H.R, 379, The National Nurse Act of 2015 has 71 co sponsors. This number includes 36 Republicans and 35 Democrats, demonstrating support from both sides of the political aisles. Thank you to the following House members who signed on to H.R. 379. 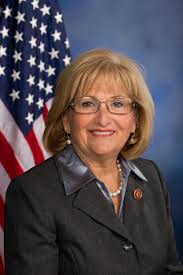 Rep. Diane Black (TN-6-R) is the third nurse in Congress to sign on as a co sponsor to H.R, 379, The National Nurse Act of 2015. Rep. Black’s real world experiences as a registered nurse have uniquely positioned her as a credible and effective leader on health care policy in Congress. She is a member of the Ways and Means House Committee and also serves on the House Nursing Caucus. Rep. Tony Cardenas (CA-29-D) is the first Latino elected to represent the San Fernando Valley in the United States Congress. He is committed to improving health care and access for his constituents in the 29th Congressional District of California. Rep. Cardenas serves on the powerful Energy and Commerce House Committee and is also a member of the Health Subcommittee. 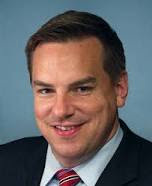 Rep. Richard Hudson (NC-8-R) is committed to working across the aisle to find solutions to create jobs, cut spending and keep our homeland secure, and he has demonstrated that can be done without compromising core principles. Rep. Hudson is also a member of the Energy and Commerce House Committee. Rep. Raul Ruiz (CA-36-D) grew up in the community of Coachella, California, where both of his parents were farmworkers. He achieved his lifelong dream of becoming a physician through public education. He was elected to the U.S. House of Representatives in 2012 and currently serves on the House Committee on Natural Resources and the House Committee on Veterans’ Affairs. 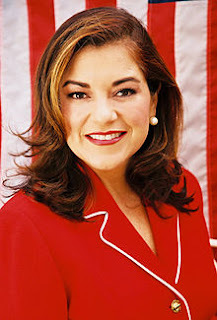 Rep. Loretta Sanchez (CA-46-D) began her congressional career in January of 1997 and is currently serving her tenth term in the U.S. House of Representatives. She holds senior positions on the House Armed Services Committee and the House Homeland Security Committee. She is a member of the Congressional Hispanic Caucus and the House Nursing Caucus. 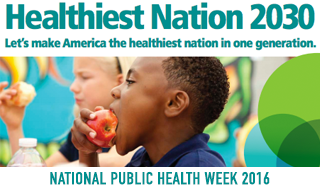 National Public Health Week is April 4-10th. The theme is Healthiest Nation 2030. Some fast facts for this week include building a nation of safe, healthy communities and improving our country’s growing income inequality that puts unhealthy stresses on adults and children. According to NPHW’s website, everyone has a right to good health. It is up to us to remove barriers so everyone has the same opportunity to improve their lives and their health. 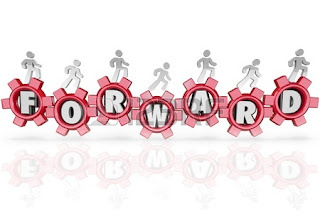 NPHW encourages all of us to take action by taking one small step every day for a healthier life.